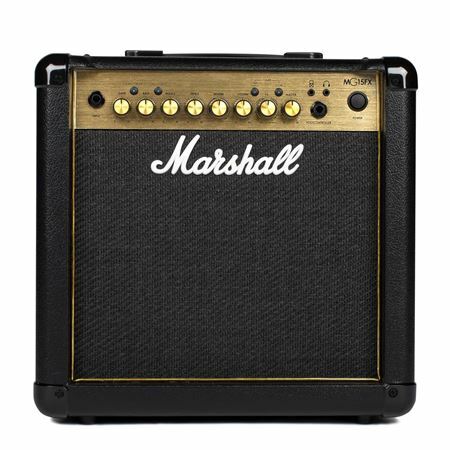 Order your Marshall MG15GFX Electric Guitar Amplifier Effects Combo 1x8 15 Watts from AMS and enjoy 0% Interest Payment Plans, Free Shipping, Free Extended Warranty & 45 Day Money Back Guarantee. A 15-watt powerhouse with an impressive feature set that will have you coming back to discover more and more great tones! The built-in effects include phaser, chorus, flanger, and delay as well as a great spring reverb which makes the MG15GFX a true joy to plug into. Marshall also loads the amp with a line in and headphones jack for those late night practice sessions.